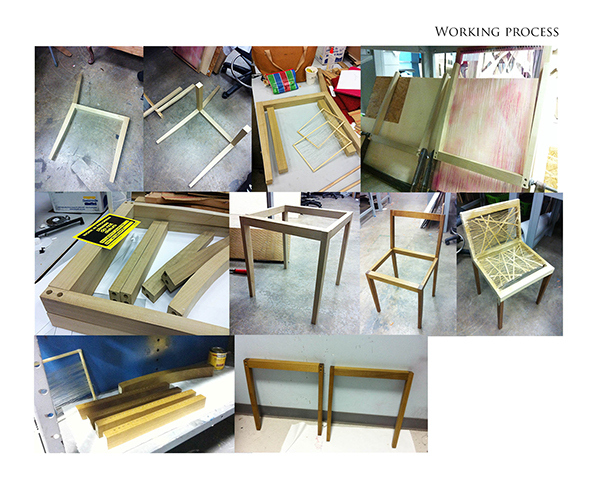 This is a chair design based on three guiding words: interaction/ transformation/ surprise. 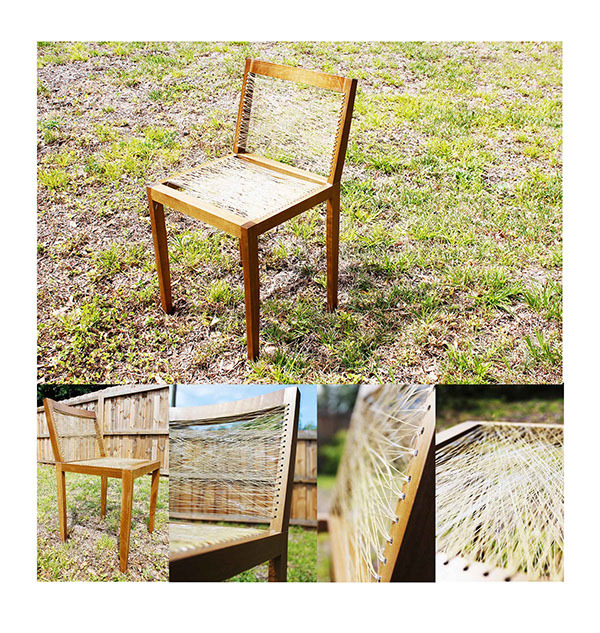 I designed a chair with fishing line for the seating and back surface. It is combined with a simple but elegant structure frame which serves the supporting purpose but doesn’t take away attention from the main design of the chair- the floating illusion. The design inspiration came from string art whereas the inspiration of the patten on fishing lines came from wood cell. 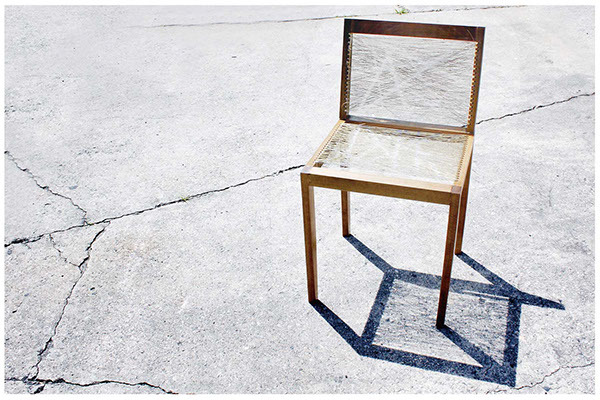 The gold color with the fishing line makes the chair shine underneath the sun. 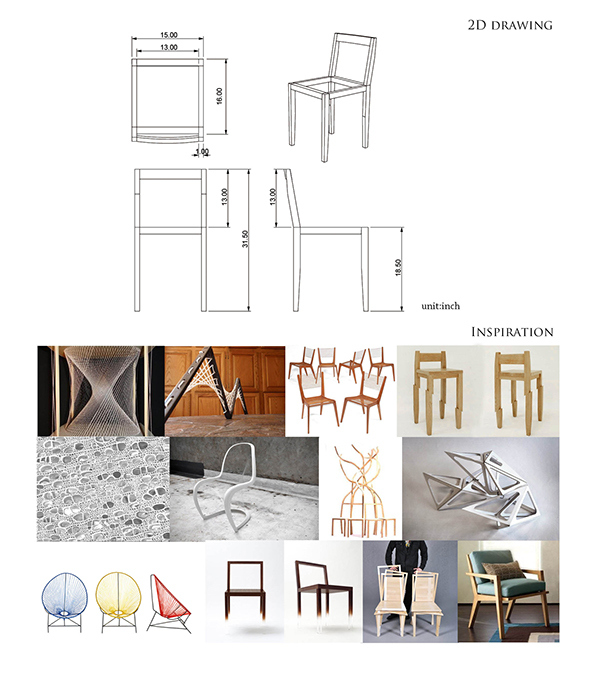 -Interaction is to have people spend some time to take a look at the detail of the chair. -Transformation is done by the different materials used which is fishing line. -Surprise is to create illusion on the piece as a surprie element of the chair.